Christmas is two days out and I’m still thinking about tomorrow’s ‘menu’. What appetizers to prepare? What dessert to have? What vegetables will get to show off? 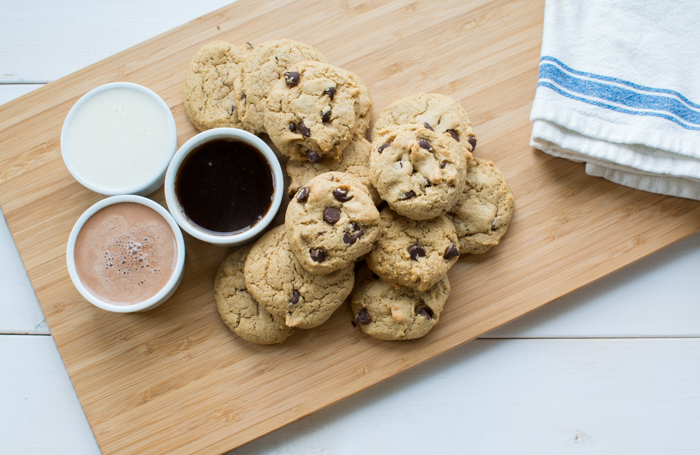 A cookie platter falls somewhere in between all of those. Oh and there are presents to think about too. Both Jeremy and I are still waiting on present deliveries, because ya know. 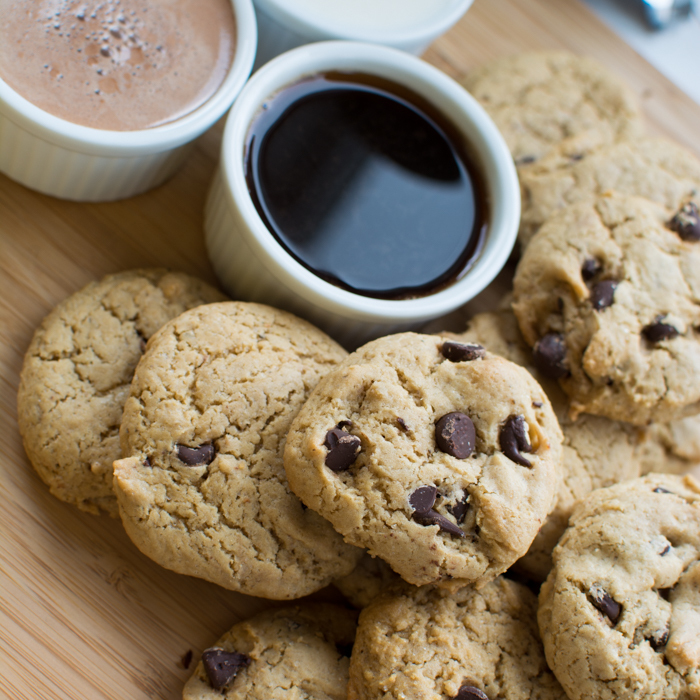 While that’s happening let’s take a look at those cookies. Today’s inspiration is because I love to dip things. I’m a dipper. Fries and grilled cheese sandwiches go in ketchup. Donuts in coffee or plant milk. And cookies follow the donut. I think this is the perfect little dipping platter if you’re gathering with friends or just chilling by yourself. 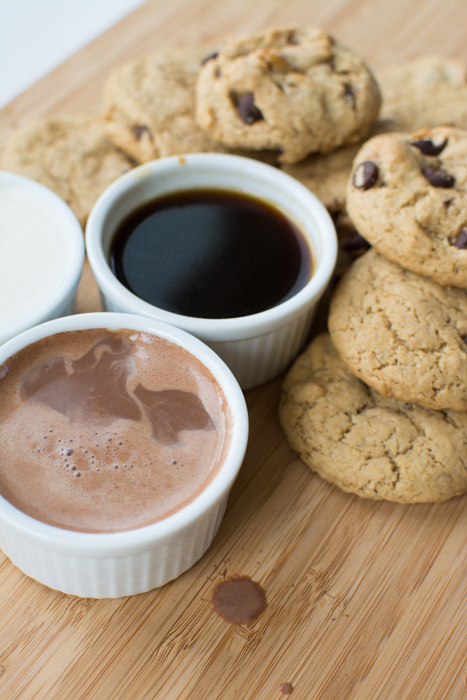 An arrangement of cookies and dipping beverages. 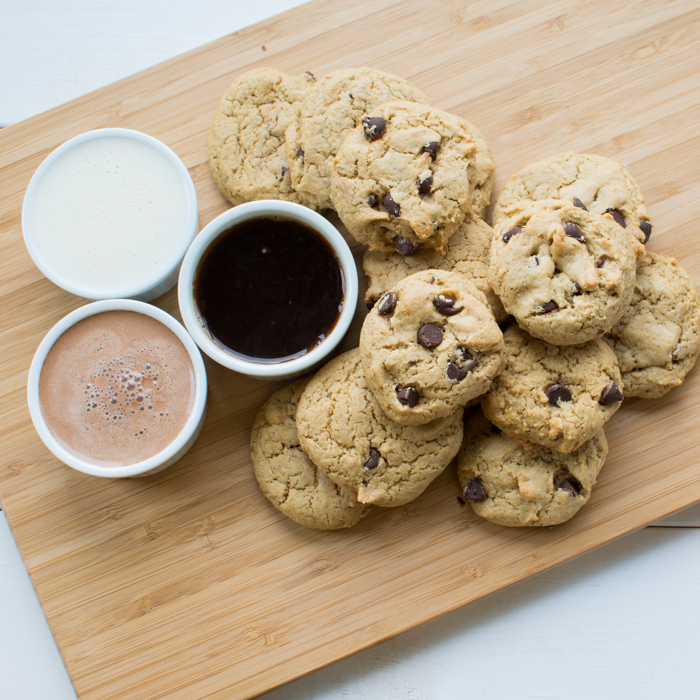 Our little dipping platter has organic soy milk, French press coffee, and homemade chocolate soy milk. And the cookies taste so very good dipped in any of them. My favorite is coffee. Though chocolate milk was pretty amazing too. 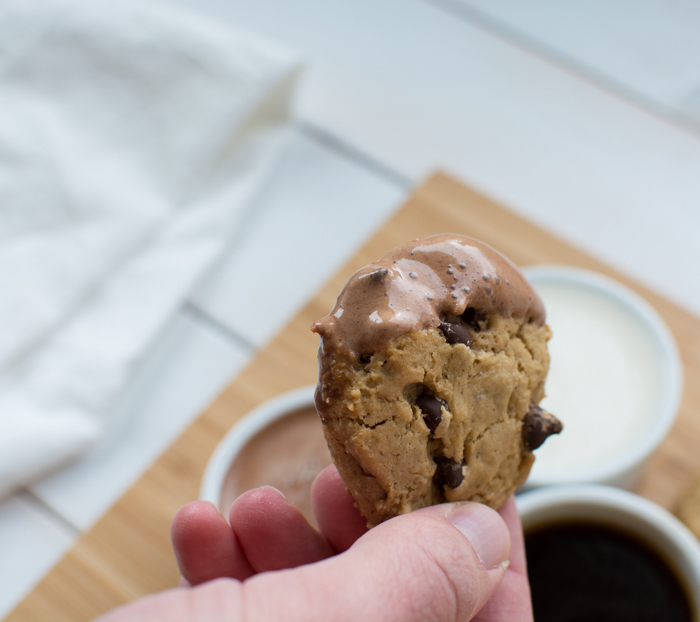 For the cookie recipe, please check out my recent post for awesome Chocolate Chip Cookies. Add ingredients to a blender or large personal blender cup and blend for 15-20 seconds. Add an extra 1/2 tablespoon of chocolate for a darker chocolate flavor. 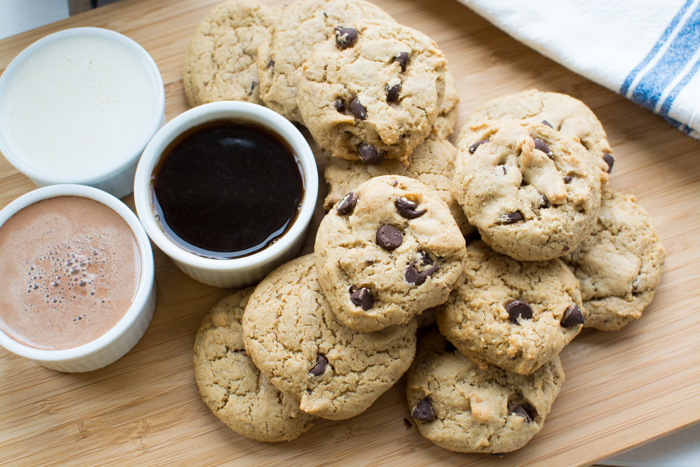 Cut cookies in half, more dipping! 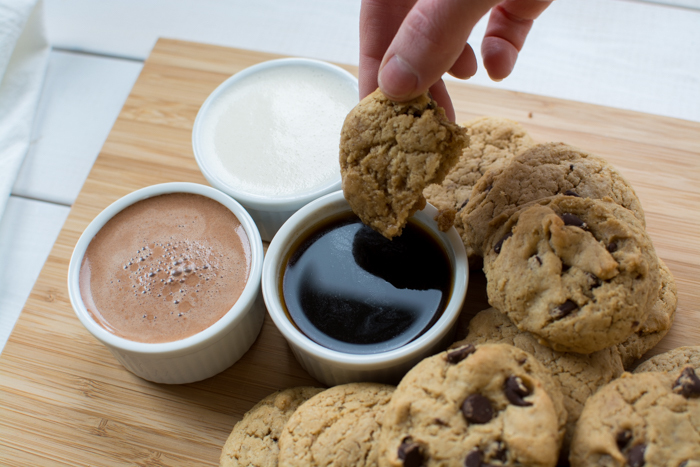 Give individual flights of dipping beverages, dip all you want double dippers! 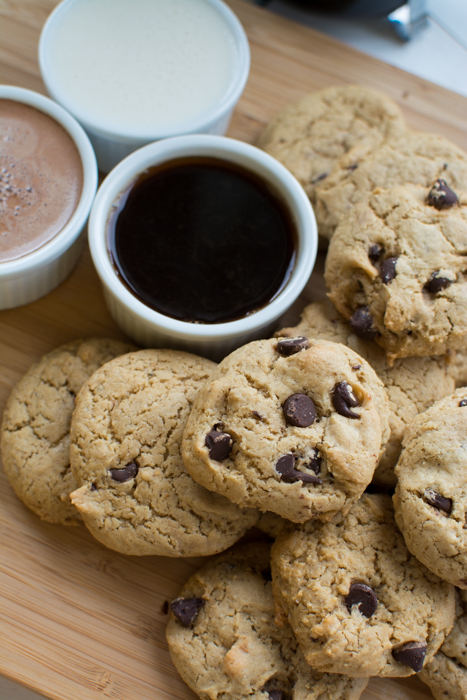 Change up the cookies: sugar cookies, snickerdoodles, and more!